Designing a flexible screening platform to store all data including ECG and echocardiogram images and eliminate paper records. Using the same platform, non-profit organizations, employers or healthcare organizations conduct wellness, biometric and other health screening activities on-site and in-clinic with minimum reconfiguration. Improved the patient registration, intake and results delivery process, transitioning from an onsite paper-based system to a 100 percent paperless process. Doubled screening throughput by eliminating manual processes. Eliminated all post screening data entry and paper storage. Delivered results and recommendation to participants online. Built an electronic data repository for population health analysis. Simplified the volunteer training process to enhance organizational efficiencies and better educate screening participants. The Play for Jake Foundation a non-profit organization dedicated to identifying young adults with potentially deadly heart conditions, was in need of a healthcare workflow technology solution to simplify and enhance its efforts to conduct cardiac screenings on students. 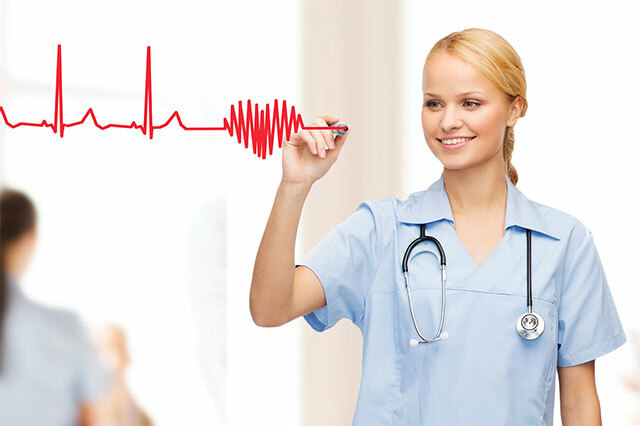 With the stated goal of creating awareness and educating parents and youth about the dangers of undetected heart conditions, the Foundation organizes events at schools to provide cardiac screenings designed to detect heart conditions, for which, no readily identifiable symptoms have occurred. The Foundation's cardiac screenings are done in partnership with local schools and are meant to identify students with potential heart conditions and prevent sudden cardiac arrest. The screenings are conducted at local schools with no costs to the students or the schools. Foundation volunteers support this process by managing the administrative duties on the day of the event, while clinicians perform Electro Cardiogram (EKG) and limited one-view Echo Cardiogram to evaluate each student and diagnose any potential cardiac conditions. The foundation assumes costs for logistics, equipment and the medical professional’s time. However, compared to visiting a clinic, the costs are significantly lower on a per-student basis allowing a larger population to benefit from such screenings. The Play for Jake Foundation selected the Green Circle Health (GCH) Platform for its ease of use and seamless online workflow to replace its paper-based system to conduct its cardiac screening campaigns. With the GCH Platform, the Foundation was able to create a seamless workflow for students and parents to pre-register, volunteers to in-take screening participants, process their digital consent documents, conduct the cardiac screening using integrated devices and provide patient screening data and analysis via a shared report. The results are available for participants and family members to access online. This simplification and reduction in costs, allows the Foundation to not only conduct more screenings at various locations, but also increase the number of students screened on any given day. The same GCH Platform allows employers and healthcare systems to create a seamless, easy-to-use workflow for employees and their families to participate in biometric and wellness screenings and conduct health risk evaluations. The platform also evaluates wellness risk factors and utilizes screening results to create personalized care programs. Families may also get ongoing coaching and coordination of care from health system professionals as well as from GCH Live health partners. For non-profit organizations, managing costs is a key concern due to their reliance on the support of volunteers and generous donors. Lowering such costs enables them to offer screening benefits to a larger population. Prior to utilizing the GCH Platform, the process at Play for Jake Foundation was largely manual and non-intuitive. To retain and analyze the dataset after the screening event was completed, they would require many days of extra efforts to make data entry. Retrieval of historic report for a participant was a manual task. In addition, there were administrative costs associated with preparing paper authorizations and storing those documents. After deploying the GCH Platform to conduct its cardiac screenings, The Play for Jake Foundation was able to add on-site limited one-view Echo Cardiogram in the process, eliminate paper handling, automate data and cardiogram storage, review the results in real-time and reduce screening event expenses. Inclusion of Echo Cardiogram in the process improved screening results and a single team is still able to screen up to 300 participants in a day. This equates to screening roughly twice as many participants per event or conducting twice as many events for the same funds available with the Foundation. "As a non-profit, we're primarily driven by our volunteers and their commitment to save lives. The assistance of donors and the valuable time our volunteers take out of their busy schedules to support a cause they believe in, along with feedback from our local community and school administration, are all important elements that support our mission to grow and screen as many students as possible." said Julie Schroeder, Founder of The Play for Jake Foundation Inc. "The GCH platform allows us to save on expenses where it really counts - particularly by creating an entirely paperless system that allows us to pre-register participants online and provide participants with their screening results in a digital format for them to use and refer back as needed." "It's a simple truth, that the more cardiac health screenings we conduct, the more likely we are to catch a student or young adult with a potential heart issue," said Schroeder. "By creating a seamless workflow for our volunteers and student families, we're not only able to improve the efficiency of our screening process, but also expand the role of our volunteers to engaging with participants and spending time educating them about potential health dangers and how to combat them." The GCH Platform not only provides a method for the Foundation to conduct screenings designed to identify potential heart disease, but other potential health conditions as well. Following its success with the Foundation, a very large commercial health system and employers are using the platform for various recommended screenings such a bio-metric screening and wellness risk assessment leading to better employee participation and on-going engagement for life style changes.